So many colors, so few of them right. Digging through some old archives, I found this picture, which sums up one of the frustrating aspects of colored-letter synaesthesia. There are so many colored letters in the world, but to any synesthete, most of them will be wrong. 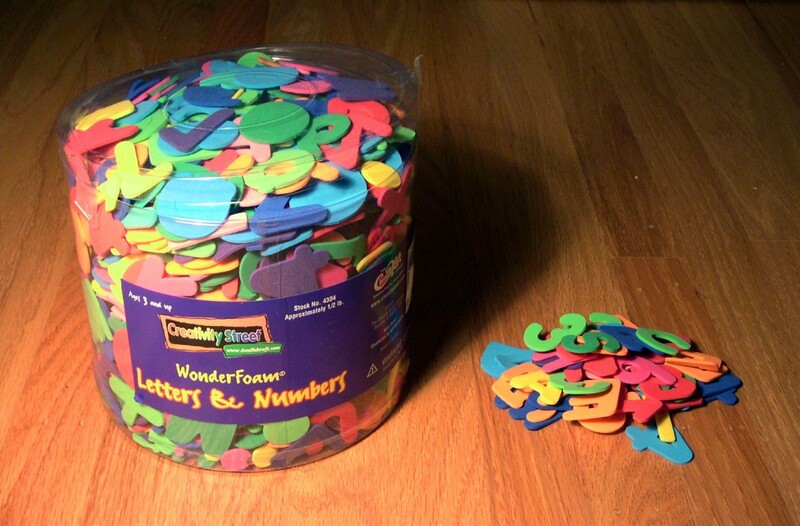 I actually sorted through this entire bin of foam letters to pull out the ones that are colored correctly according to my synesthetic map. It’s the tiny pile on the right. Yes, that’s all of them. Previous PostAsemic Writing and SpeechNext PostCan you teach yourself synaesthesia?